"The clearest way into the Universe is through a forest wilderness." These are the words of pioneering naturalist John Muir. Gazing out across California’s pine-clad Yosemite Valley, carved by million-year-old glaciers and framed by the granite monolith El Capitan and plunging Bridalveil Fall, Muir’s penny drops. This is IMAX nature on an almost Biblical ‘Plains of Heaven’ scale: nature that is vast, eternal and unchanging; that effortlessly reaffirms us as tiny travellers on an ancient planet; nature that inspires and demands to be explored. Muir’s passion for America’s wild places, inspired by his wanderings in the Sierra Nevada in the late 1800s, was a driving force behind the establishment of the National Park Service (NPS), which now protects 59 areas of natural beauty throughout the United States. Yosemite is one of the biggest jewels in the NPS crown. Three hours’ drive east from San Francisco, the park stretches for 1,169 square miles and boasts some of America’s most stunning landscapes. Home to black bears, bobcats and mule deer, this untamed wilderness contains thundering rivers, towering granite domes, ancient sequoia groves and mirrored lakes. This pristine playground is the second stop for travellers driving from San Fran to Los Angeles, via Death Valley and Las Vegas. It’s a route with all the ingredients of a classic road trip, from hip cities to soaring mountains and rugged canyons. 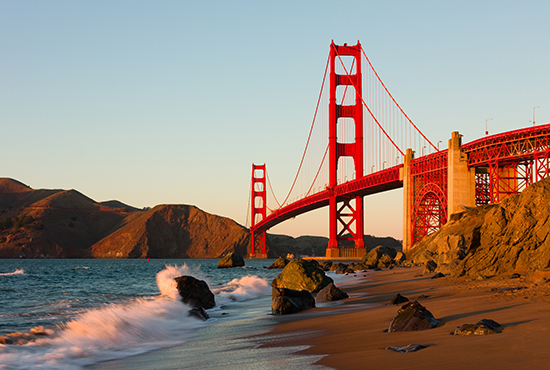 Laid-back San Francisco is the perfect place to ease into your adventure. Less frenetic than LA, and with a more bohemian vibe, the City by the Bay is consistently ranked the second most walkable in the US after the Big Apple. Stretch your legs and explore some of San Fran’s eclectic neighbourhoods, from the hipster hideaway of Mission to the hippy haunt of Haight-Ashbury and the waterfront at Fisherman’s Wharf, with its shops, street performers and snoozy sea lions that hang out at Pier 39. Ride a tram along The Embarcadero and catch a ferry to Alcatraz Island, the former federal prison that counts Al Capone among its infamous inmates. Water prevails both in San Francisco and Yosemite, but drive a few hours beyond the verdant national park and you could be on another planet. 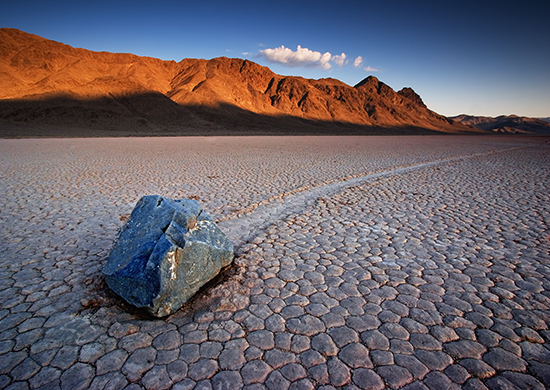 Welcome to the hottest, driest and lowest region of North America: Death Valley. As the name suggests, it’s not to be driven lightly. This narrow basin is ringed by peaks and plummets to 86m below sea level, cooking up convection-oven conditions with shimmering salt plains, volcanic craters and soaring dunes. Furnace Creek houses the visitor centre and holds the record for the world’s hottest land temperature: a sweltering 56.7°C, hit in the summer of 1913. The average July high is a slightly less withering 46°C, but visit in the cooler months and you’ll be rewarded with snow-capped ranges and carpets of wild flowers, where bighorn sheep and roadrunners roam. Death Valley continues to dazzle long after the sun disappears. A Gold Tier International Dark Sky Park, the desert slumbers under untainted inky nights, allowing millions of stars to burn brightly through the blackness. The only stars you’ll see in the blinding, billion-watt boomtown of Las Vegas are the sort you’ll see on stage at Caesar’s Palace. With attractions like the Luxor Sky Beam shooting the world’s strongest beam of light to the skies, the Milky Way doesn’t stand a chance. 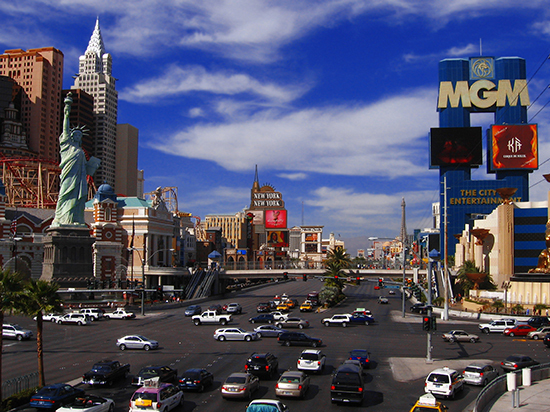 Vegas is a place of superlatives, with the biggest, boldest and brashest of everything: a holiday hotspot that lives up to the hype. After a night with the high rollers, rolling out of bed early may not be on the cards, but there’s a four-hour drive into Arizona ahead, leading to the Grand Canyon, one of the planet’s greatest natural wonders, so set an alarm. 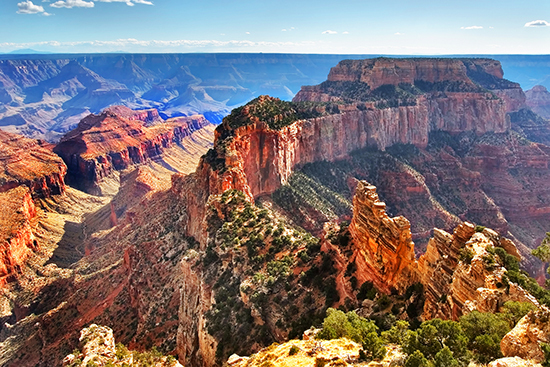 At 277 miles long, up to 18 miles wide and a mile deep, ‘Grand’ doesn’t do this UNESCO World Heritage Site justice. Looking out from its rim, awe-inspiring rock formations stretch to infinity and plummet to meet the Colorado River. One man-made marvel striving to redress the balance is Los Angeles. With expansive highways, vast amusement parks, colossal malls and a personality to match, this City of Angels lives life large, and is the perfect finale for your road trip. 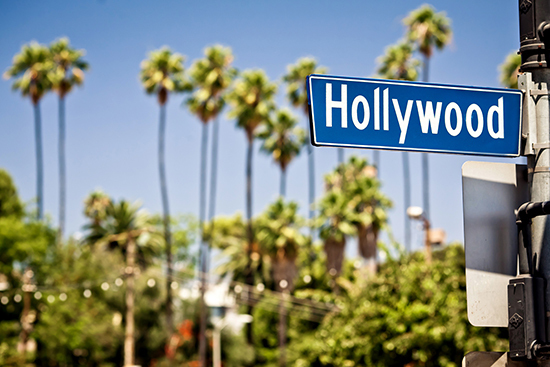 From Sunset Boulevard to Beverly Hills, Venice Beach to Rodeo Drive, LA’s street signs are some of the most recognisable on earth. And while the cosmic delights of the national parks may be behind you, you’ll still find some stardust at the city’s most famous sign of all.